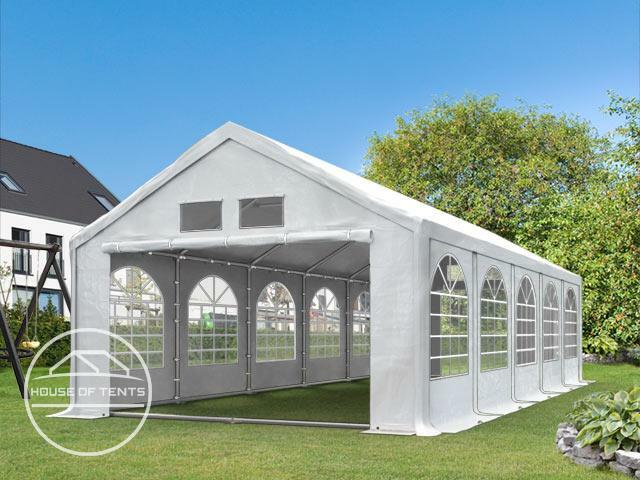 Our Professional PE marquees from our Product Line Optiline are suitable for mid-term use and have a high level of stability thanks to the groundbar frame and roof reinforcements. The particularly solid steel construction is bolted and fully galvanised, thus protected against corrosion. 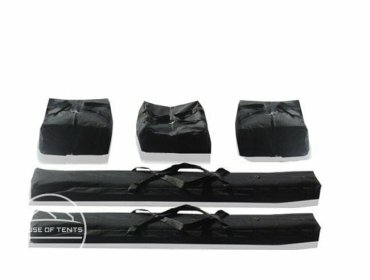 The tarpaulins are made of approx. 300 g/m² PE material, are UV resistant and 100% waterproof. Welded seams offer great protection against penetrating water ‒ even heavy rain is kept outside. 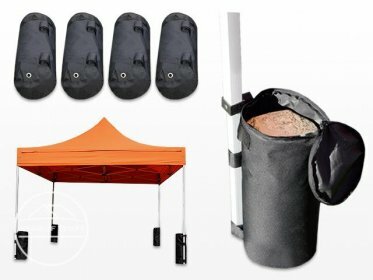 There are many options for entrances around the tent since gable walls or individual side panels can be attached as needed. The marquee has two zipper entrances of different sizes as well as two ventilation windows with blinds. 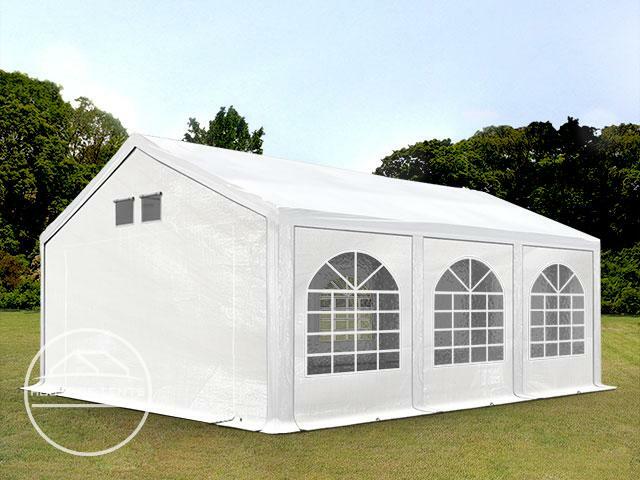 For this marquee, we guarantee the availability of spare parts for 10 years from the date of purchase. Particularly robust marquee with ground bar and roof supports with approx. 300 g/m² PE tarpaulin - 100% waterproof. 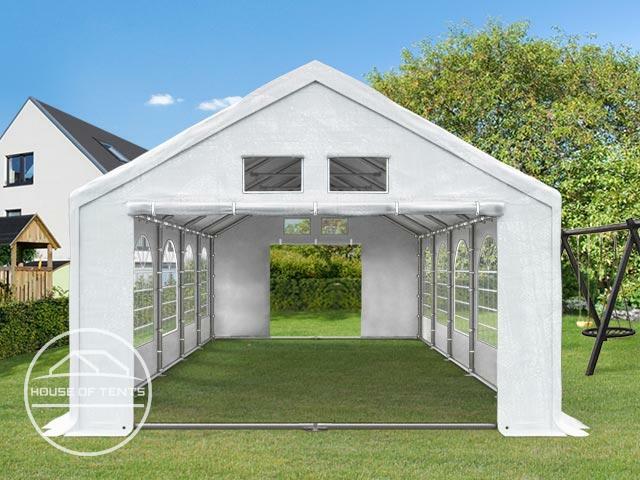 The robust and stable, fully galvanised steel construction is equipped with a groundbar frame and roof reinforcements. The PE tarpaulin is easy to handle and offers optimal weather protection. It is 100% waterproof and UV resistant. It provides a high UV protection. The average assembly time with 3-4 people is 2 hours.